Hi. 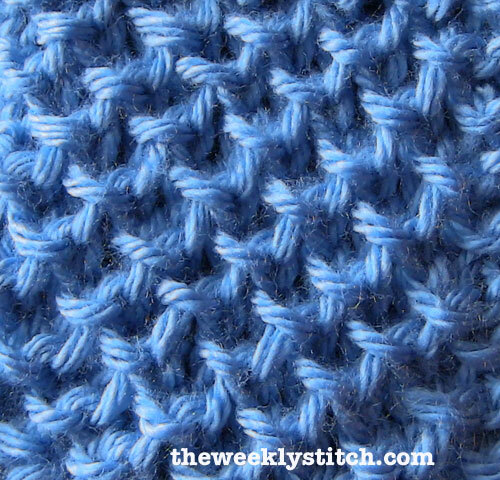 I am using this stitch to make a blanket, i have a garther stitch edge, that means that i only knit 2 after my garther stitch border? I'm not sure what you mean by only knitting two after your garter stitch border. You'll knit your garter edge stitches at the beginning of the row, then work the pattern repeat as many times as you've cast on for, then knit your garter stitches at the end of the row for the border. I mean the k1 at the begining and at the end of the row.. Do i still need to knit those? It's part of the pattern so yes.